It is no secret that good beer, fine wine, and unique spirits are all being made in Frederick. 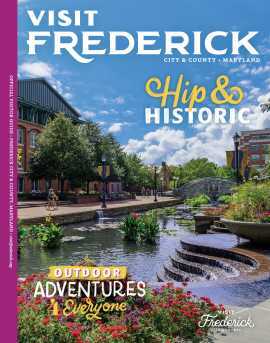 If you are looking to sample some of the area&apos;s best beverages without needing to move the car, this walking tour of Downtown Frederick is for you! Whether you are planning a bachelor party or looking for a fun date night, the journey is sure to be delicious. Park your car in the garage on E. All Saints Street and start walking along Carroll Creek Park toward Attaboy Beer. One of Frederick&apos;s newest spots, this brewery has quickly become a popular hang out and it is easy to see why. Attaboy produces IPAs, pales, belgians, and seasonal fruity brews; everything from the essential summer beer list. Order a flight or a full pour and linger over a board game, they have a great selection! 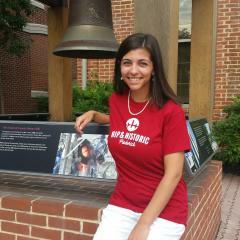 Tip: If this is your first visit to Frederick, be sure to stop at the Visitor Center on your way to the Brewery! 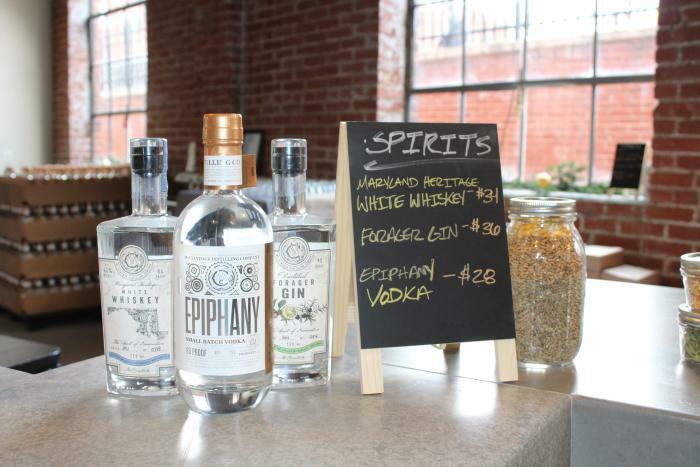 Stroll along the opposite side of Carroll Creek until you get to McClintock Distilling. Housed in a building that survived the epic flood of the 70’s, McClintock uses organic grains to produce spirits that are milled in-house. Check out this incredible building with a tour and taste their sustainably produced gin and whiskey. Tip: If you purchase a bottle to take home, your tour and tasting are free! Make your way to Market Street and pop in to Vini Culture. This wine bar and cafe features a high-tech self-serve system, dispensing a wide variety of carefully selected wines. Purchase a reloadable card to gain access to as many wine tastings (or full glasses) as you&apos;d like. Tip: Save room for the wine ice cream! Six flavors are sold here by the scoop or by the pint. 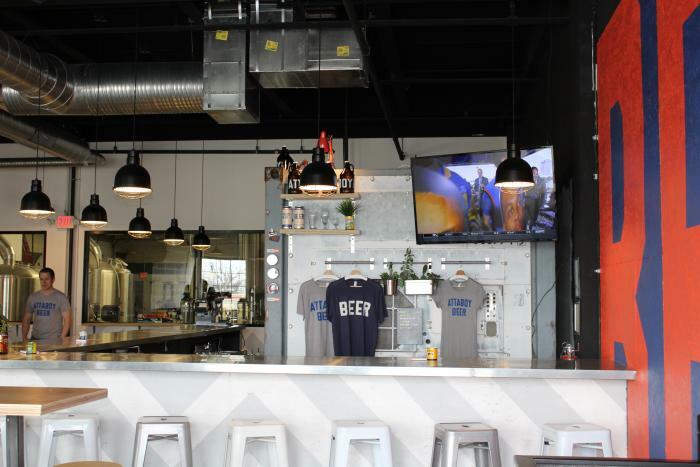 Just one block over is Frederick’s original brewpub, Brewer&apos;s Alley, offering beer on tap, brewed both onsite and right down the street at Monocacy Brewing Company. Start with a tall glass of your favorite or order a flight and find out which taste you prefer. If beer isn’t your thing, there is also a great selection of scotch, bourbon, and whiskey to enjoy. 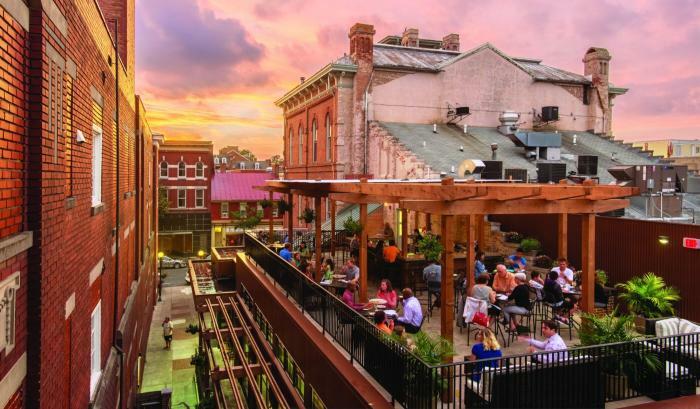 Sit inside the beautiful historic building, once an opera house, or bask in the summer sun on the rooftop bar! Tip: Check out the Brewer&apos;s Alley Facebook page for the daily specials. You might want to plan to have dinner here! Want to keep the party going at home? Spin The Bottle and Viniferous offer a great selection of wine by the bottle. Both shops are on your route. Stop for dinner at The Wine Kitchen or Jojo&apos;s Restaurant and Tap House. Both offer a variety of local menu items including locally produced beers, wines, and spirits. These stops are within a minute of your route. Don&apos;t want to drive home? Frederick has Uber and Lyft! Call a ride and head to one of Frederick&apos;s many hotels for the night.